Can't find 260Z emblems? 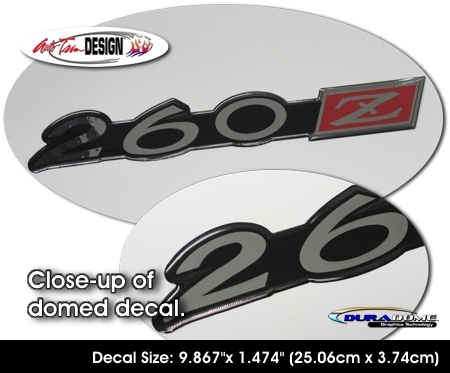 Enhance your Datsun 260Z with this "domed" decal set. "Domed" decals are not just vinyl decals. They are a tactile, three (3) dimensional decal that look like a factory manufactured emblem.